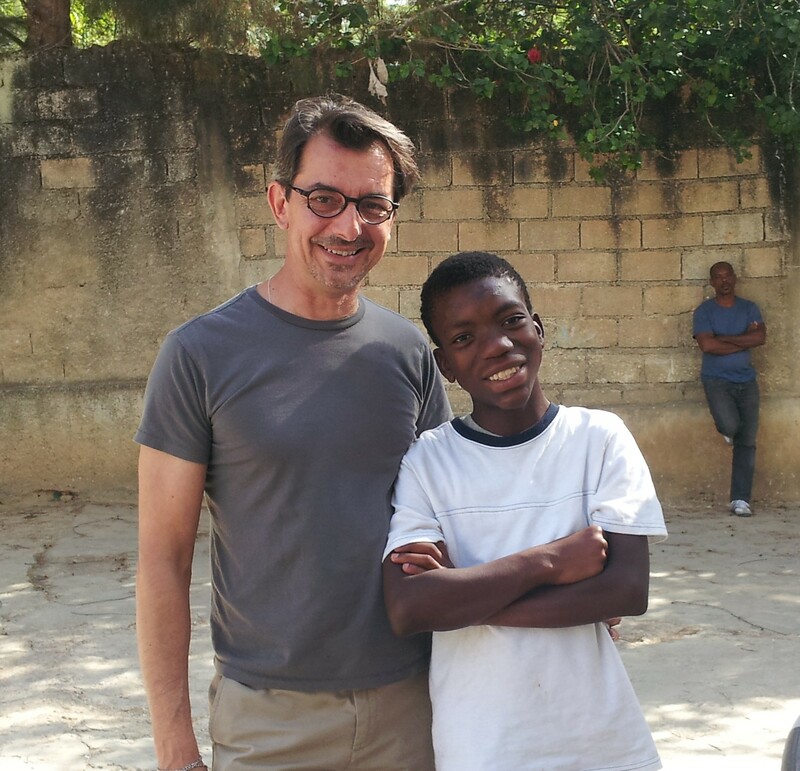 One of the primary reasons we came to Haiti was the recent vote by the Haitian government to ratify the Hague Convention on Intercountry Adoption. Joint Council has been involved with the Convention since its beginnings in 1993, so when we were asked to provide some input into the Haitian process, it was an easy and eager yes. The Haitian government, specifically the Institute of Social Welfare and Research (IBESR), has made great strides in serving and protecting children. 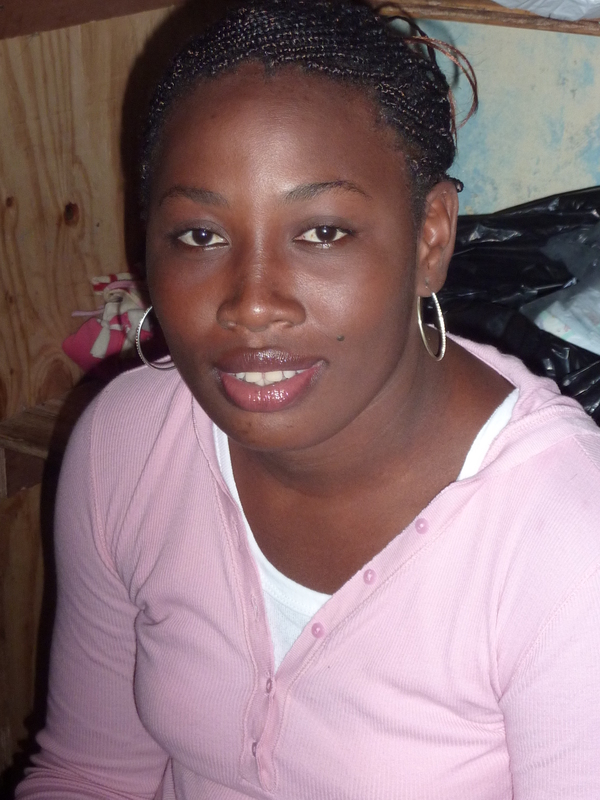 The new Director at IBESR, Mme. Arielle Jeanty Villedrouin, was appointed only seven months ago yet already she has moved the country towards implementation of the Convention, registered approximately 500 previously unregistered children’s homes, conducted assessments of 200 and closed three of the worst. Most recently she closed an orphanage that although it was receiving funding from sources in three countries, the conditions were such that some children’s ears were being chewed by rats. Having worked in Haiti for 12 years, it is extremely encouraging to see such an educated, impassioned and committed leader at IBESR. As Mme. Villedrouin moves Haiti toward implementation of the Convention, we are confident that Haiti will not add itself to the list of countries where premature implementation resulted in a closure of adoption, rather than a strengthening of protections and services. As we said to Mme. Villedrouin, we fully support Haiti’s implementation of the Convention and the protections it will bring to children and families and encourage IBESR to use the Hague Guide to Good Practice as the framework for implementation. In short, the Hague’s Guide calls for creation of all necessary laws, regulations and processes prior to the Convention ‘entering into force’ in Haiti. And we are also very encouraged by the Presidential Decree appointing IBESR as the Haitian Central Authority for the Convention. With such astute and capable leadership, we are sure that Haiti will be one of the first developing countries to use the Convention to protect children and preserve their right to a permanent, safe family. For more information, visit http://www.helpkg65.com/. Comments : Comments Off on Valentine’s Day is Tomorrow! 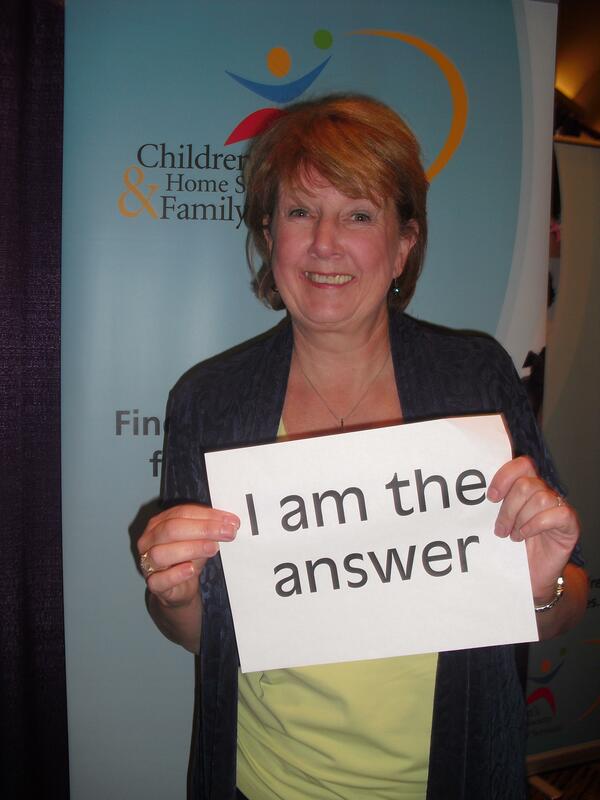 Register for the Child Welfare Symposium today! Twenty one years ago…what were you doing? Finishing up college? Having your first child? Not yet born? Twenty one years ago, I attended my very first Joint Council Conference (now called the “Symposium“). I walked in to a room at the 4-H Club in Chevy Chase, MD (what ever happened to Barb Holton? ), with about 35 people in attendance. I heard people speak that were as passionate as I about children who needed families. I was hooked (!) and I have only missed one conference since then. The following year, I heard Dana Johnson speak for the first time and the way I looked at children and how institutionalization affects them would never be the same. In the beginning, I was a “lurker” and just tried to absorb the massive amounts of knowledge that was available at each conference, but soon I had to get involved! It didn’t take long before the people I looked up to, became my friends. I would call on them with problems or concerns. They would reach out to me. Together we were involved in committees, caucuses, and the medical day. I remember bloopers from the podium, meeting new friends (Rebecca Harris, now Director of Programs & Services at Joint Council, I remember meeting you for the first time in San Antonio), and reconnecting with old ones. Some things have changes a LOT in two decades. Now, instead of lines at the pay phones in-between sessions, people are doing emails and talking on their smart phones! But, the most important things have never changed. Adoption still requires passionate, knowledgeable people who are willing to give their all, to each other and to the children, to create families. We need each other. We need to learn. We need honest advice. We need new ideas. We need accountability. We need to find families for vulnerable children. We need to support one another in the hardest times we, as agencies, have seen. Twenty years from now, where will you be? Some of us will be gone, some of us will be retired, some of us will still be carrying the torch. We need the Joint Council Symposium now more than ever. Agencies, send your young employees, your experienced ones, your passionate, your willing to work long hours. I, for one, could not continue to do my job without the relationships and knowledge that have come from Joint Council. I hope to see you in the Big Apple…..I will be the one with bells on! Alexandria, Va, September 20, 2011 – Recognizing that proper nutrition is critical to every child’s growth and development, The Joint Council on International Children’s Services and the Mead Johnson Nutrition Foundation today announced the launch of a program dedicated to improving nutritional care for vulnerable children living without parental care around the world. Globally, millions of children live without parental care, with most living in orphanages, group homes and institutions. While caregivers work diligently to attend to the needs of these children, science-based training and resources on nutrition and feeding practices to help identify nutrition deficiencies are often unavailable. Through the new program, called A Child’s Best Start, Joint Council and Mead Johnson are leading an initiative to identify best practices for nutritional care among this vulnerable population of children. The program will provide critical nutrition information to individual caregivers through training on the ground in facilities located everywhere from major cities like Shanghaito small towns in rural Mexico. A Child’s Best Start will support research, establish a free online library of information and resources, implement in-language training programs, and provide support to the individual organizations that care for vulnerable children. The program will launch the online library later this year and start the training pilot program in the first country, China, in the first half of 2012. Mead Johnson’s nutrition scientists will lend their expertise to materials development, and its offices and employees in countries around the world will help individual orphanages and group homes through programs based on local needs. To get the program underway, Joint Council and Mead Johnson have formed a cooperative agreement with the the SPOON Foundation, a member of the Joint Council network which focuses its efforts on orphan nutrition. Together, the groups established the Global Nutrition Working Group of leading authorities on nutrition and medical care for vulnerable children and children living without parental care, to provide guidance on the development of program materials. Joint Council helps vulnerable children living without parental care by advocating on their behalf, marshaling the resources they need, educating those who serve them and mobilizing those who care. Joint Council and its partner organizations provided services to over 2.1 million children and families each year. For more information, go to www.jointcouncil.org/. Mead Johnson, a global leader in pediatric nutrition, develops, manufactures, markets and distributes more than 70 products in over 50 countries worldwide. The company’s mission is to nourish the world’s children for the best start in life. The Mead Johnson name has been associated with science-based pediatric nutrition products for over 100 years. The company’s “Enfa” family of brands, including Enfamil® infant formula, is the world’s leading brand franchise in pediatric nutrition. For more information, go to www.meadjohnson.com. The above map represents the countries for A Child’s Best Start. 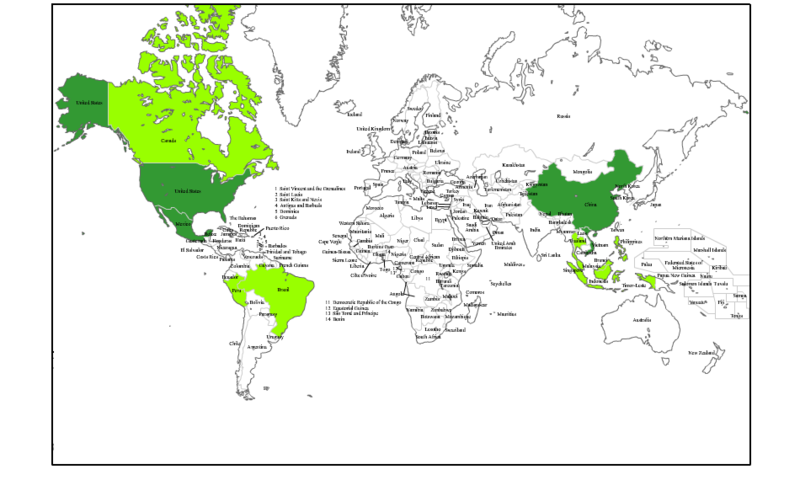 The countries highlighted in dark green are those that the program will target during year one, and the countries highlighted in light green are those that will roll out subsequently. What children eat in their earliest months impact them for the rest of their lives. AdoptionNutrition.org – a new, comprehensive resource developed to educate parents about the unique nutritional and feeding needs of adopted and foster children. The site also serves as a venue for adoptive and foster families to share their nutrition-related experiences and ask questions of an expert team.